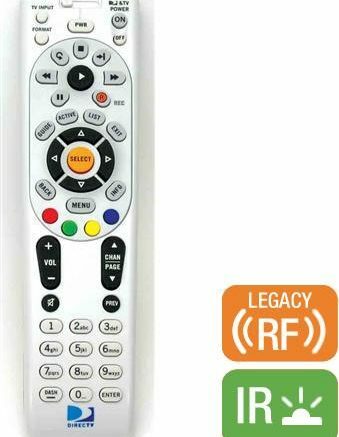 They’re getting harder to find, but SolidSignal.com still has plenty of the old-style white DIRECTV remotes. The Genie Remote is now DIRECTV’s default option, but some people still like the older remote because it controls more devices and has some buttons that the newer remote doesn’t. This is your chance to stock up on these remotes now. I’ve seen these very same ones in stores for $29.99 and up and our price is as low as it’s ever been. These are the RF remotes, the ones that will let you control your older DIRECTV box through walls and doors. The new Genie remote will not control your older receiver in RF mode. It’s hard to know if we will have the ability to get any more of these when the supply dries up so honestly I would not hesitate to buy two or three at this price.